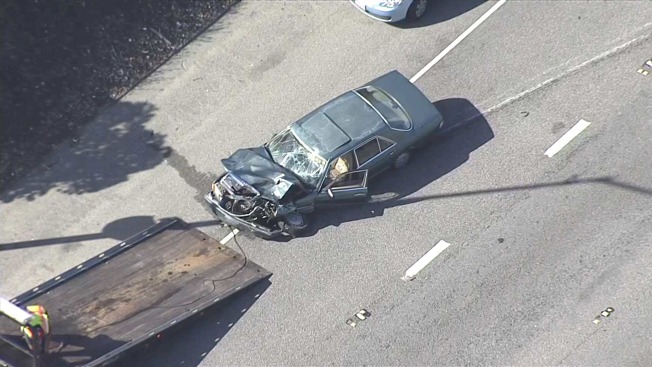 A Vallejo police pursuit on Tuesday ended in a three-car crash that injured two people on westbound Interstate 80 in Crockett, and police had a suspect in custody, the California Highway Patrol said. Police arrested Phillip Chambers, 25, of Vallejo in connection with the chase and crash. He’ll be charged with felony hit-and-run and felony evading arrest, police said. 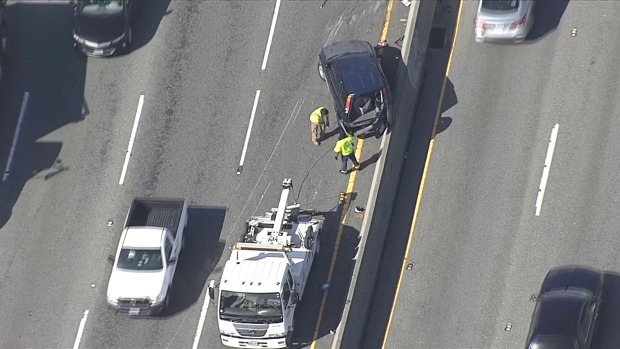 NBC Bay Area's SkyRanger captured footage of a mangled dark-colored car being loaded onto a tow truck near the San Pablo Avenue exit of I-80. Another blue vehicle had rammed into the center median. The CHP learned at about 3:15 p.m. that Vallejo police were pursuing a Mercedes on westbound I-80, CHP Officer Damian Cistaro said. The chase began at the intersection of Union Avenue and Lemon Street in Vallejo, police said. Officers attempted to pull over a green Mercedes-Benz that was displaying a license plate that didn’t match the vehicle. The pursuit crossed the Carquinez Bridge and reached speeds of 120 mph, police said. It ended in a hit-and-run collision involving the Mercedes, a Honda CRV and a Honda Civic just east of San Pablo Avenue, Cistaro said. The CHP was not involved in the pursuit but is investigating the hit-and-run collision, Cistaro said. One of the two injured persons was taken to a hospital, he said. A Sig-alert was issued at 4:04 p.m. The far right and far left lanes were briefly closed to traffic, prompting delays, officials said. There were no details on the injuries.